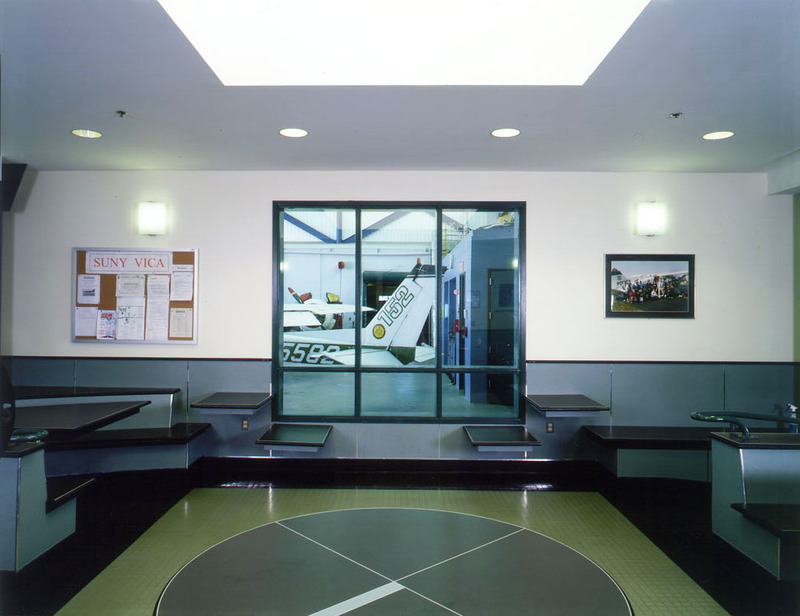 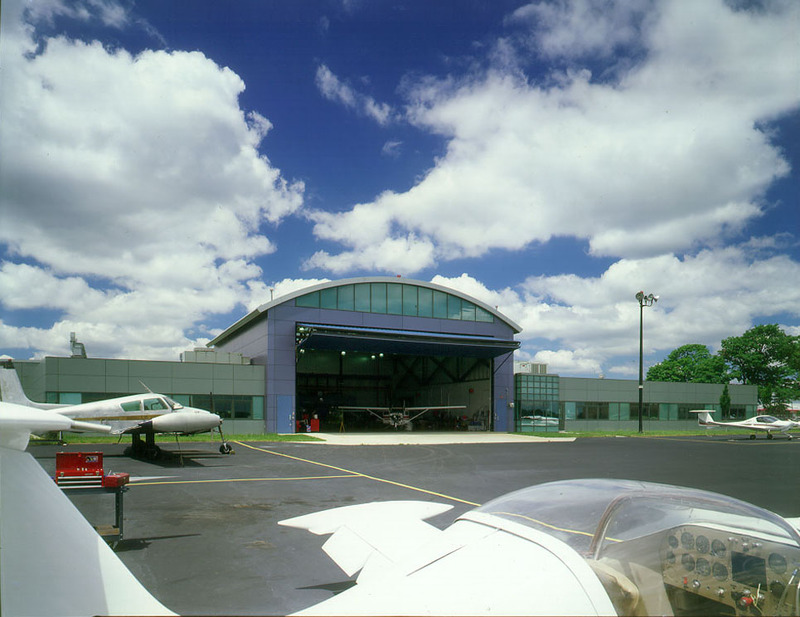 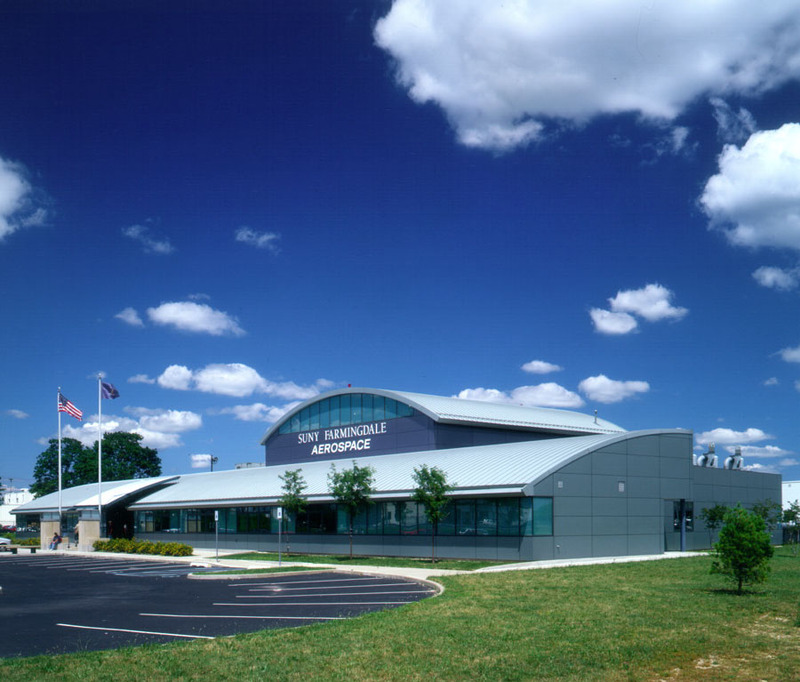 The Aerospace Facility at the State University of New York Farmingdale campus is a pilot training facility, which combines diverse educational functions. 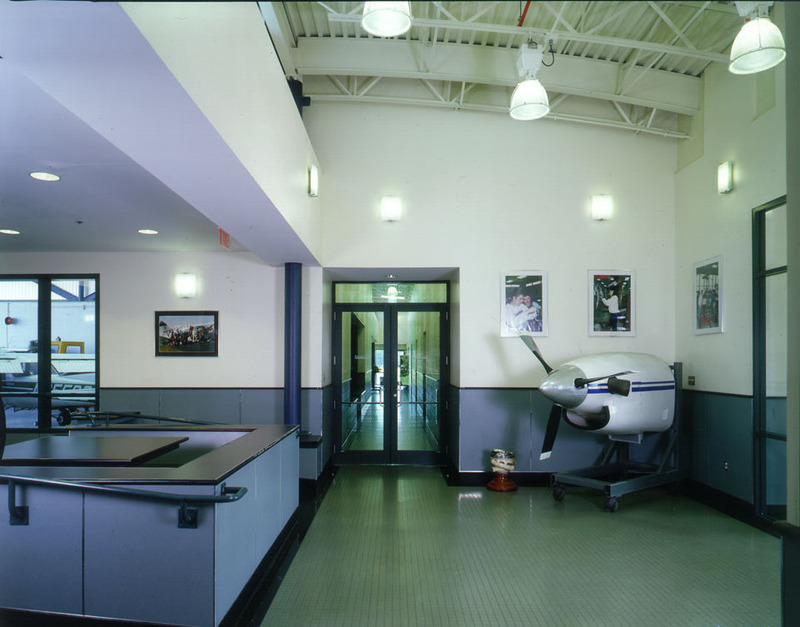 The airplane hanger, laboratories, classrooms, offices and a flight simulator each required very different spatial expressions. 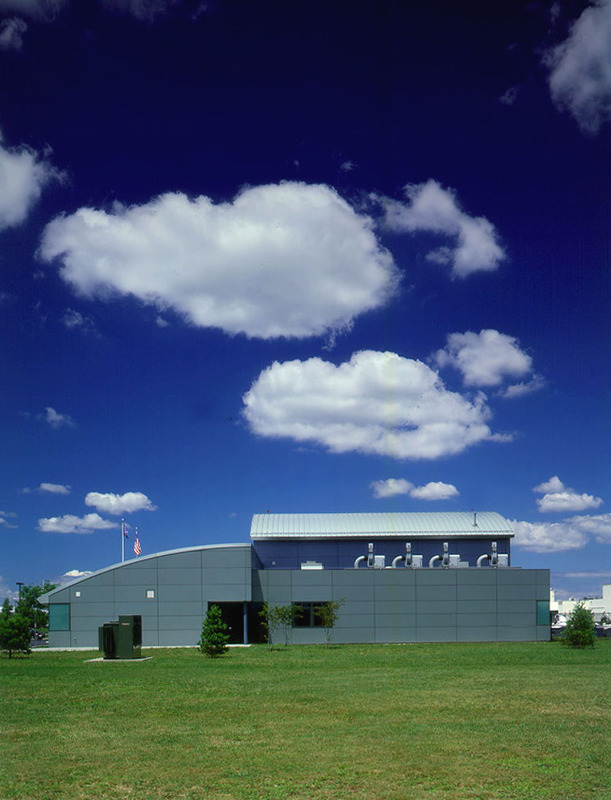 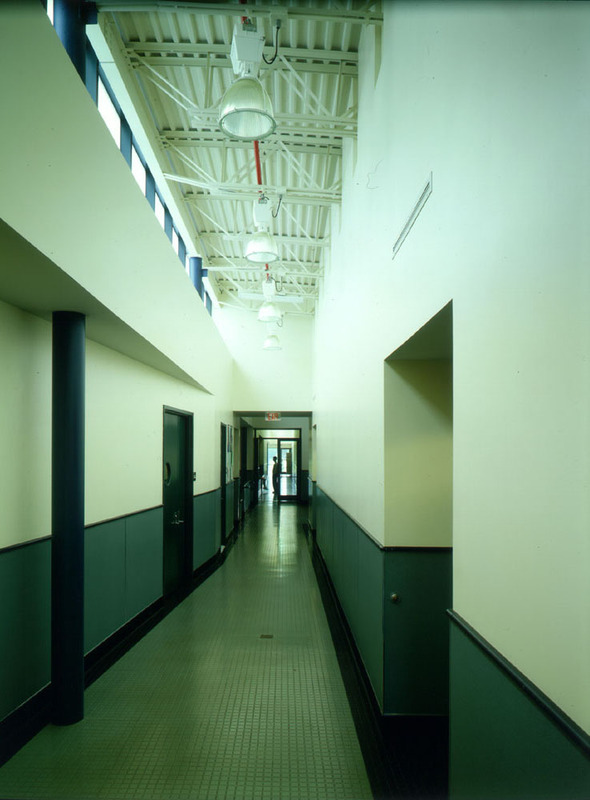 We chose to express the difference of the parts in the forms of the building. 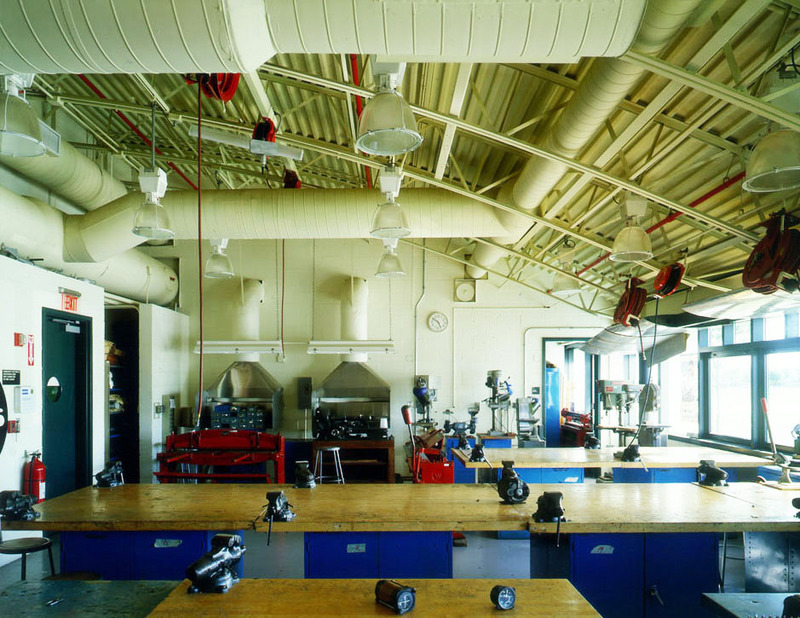 Differentiation of the airplane hanger, 25 feet tall from the fabrication lab and class rooms created a rich set of forms. 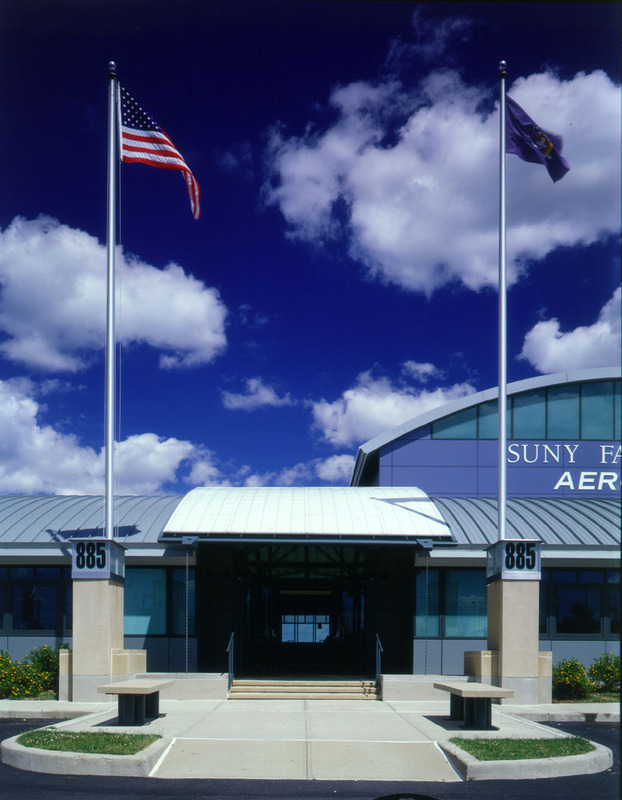 Given the project’s budget constraints and its sitting in a working section of Republic Airfield, the building skin has a high-tech industrial aesthetic. 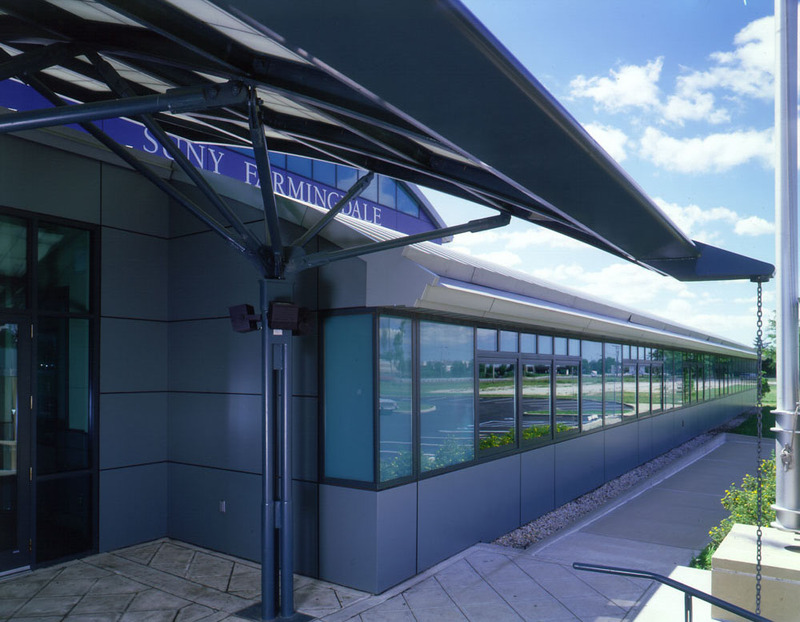 The curved roof references the aeronautical them as do the extensive use of metal for roofing and cladding.